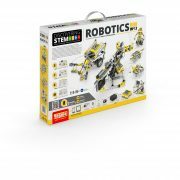 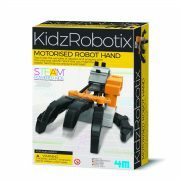 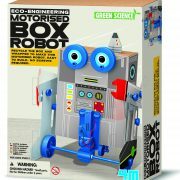 ENGINO STEM Robotics ERP Mini Robot Kit includes software for private use, manuals, 2 motors, 2 IR sensors. 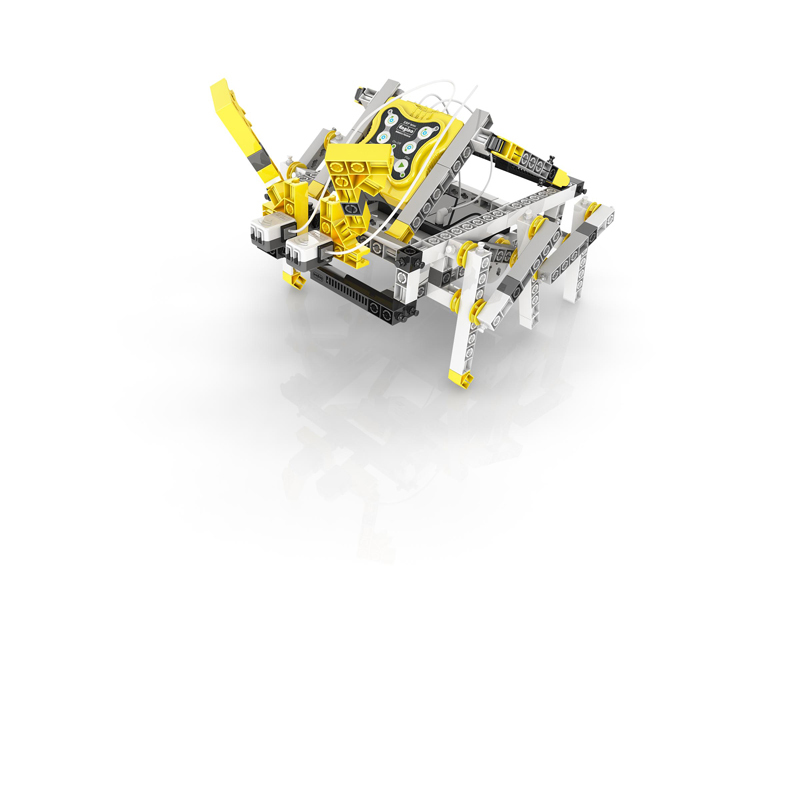 The robot you build will be able to move, see obstacles or follow a line with the two IR sensors. 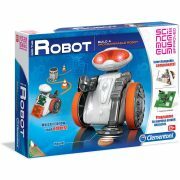 ENGINO STEM Robotics ERP Mini Robot Kit includes software for private use, manuals, 2 motors, 2 IR sensors. 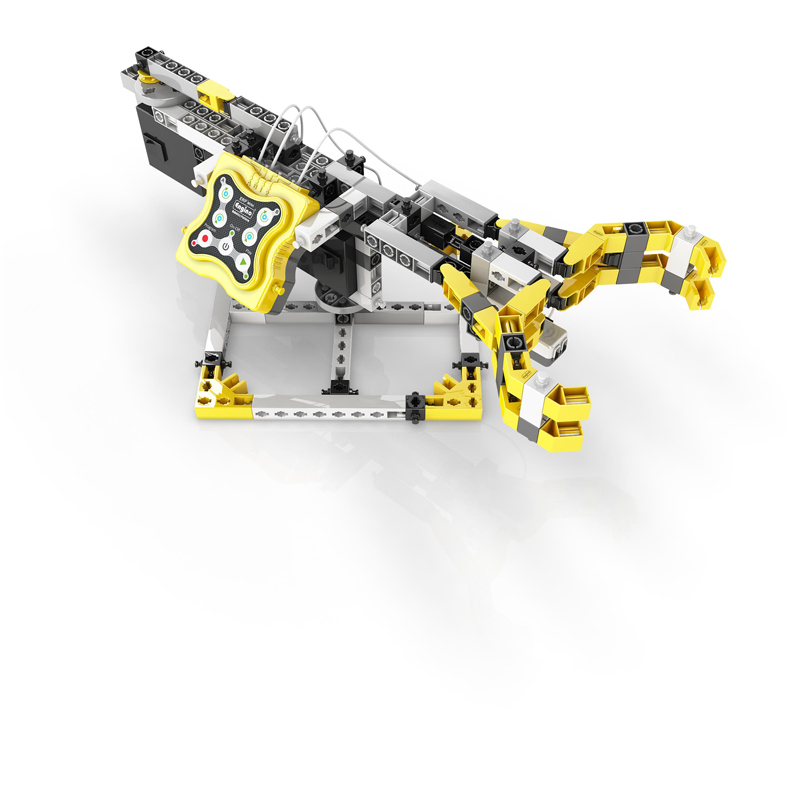 The robot you build will be able to move, see obstacles or follow a line with the two IR sensors. 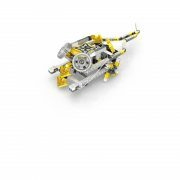 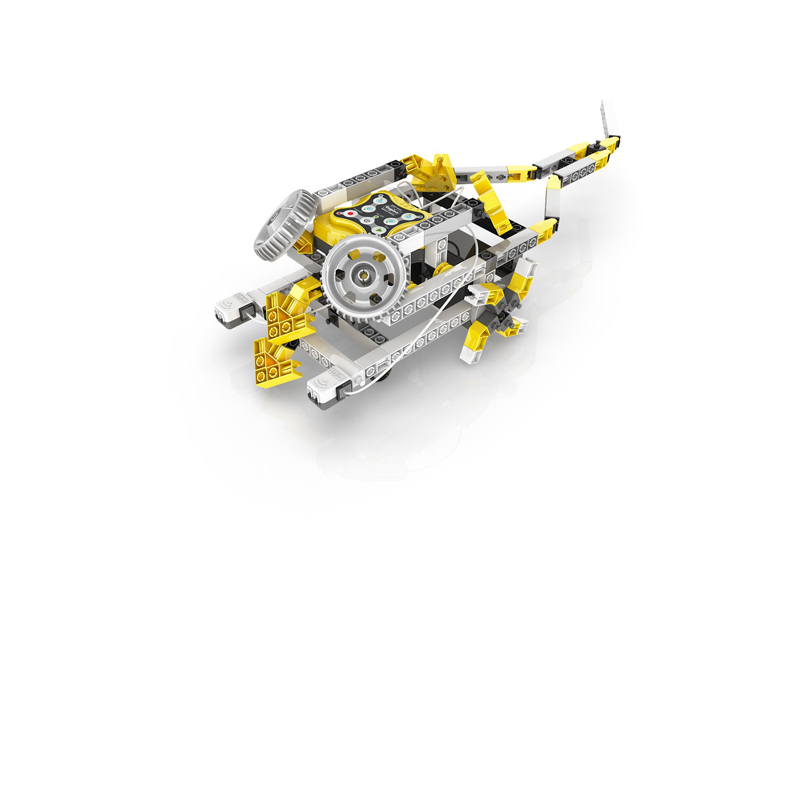 Control how your robot moves, choosing wheels or legs, with two motors that can be driven independently so you can have separate pincer movement. 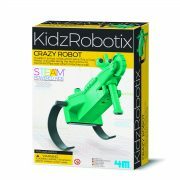 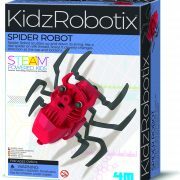 There are six robot designs to build from, including a wheeled humanoid figure, a scorpion or insect body and a grabbing claw. 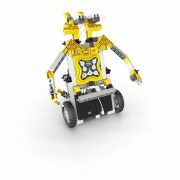 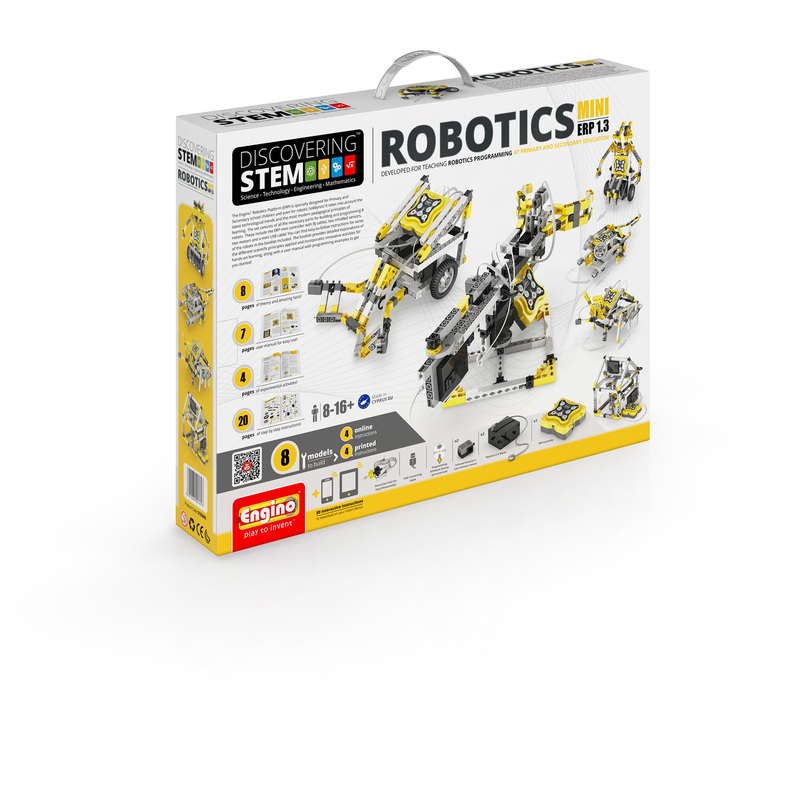 See what robots you can make with this 188 piece kit. 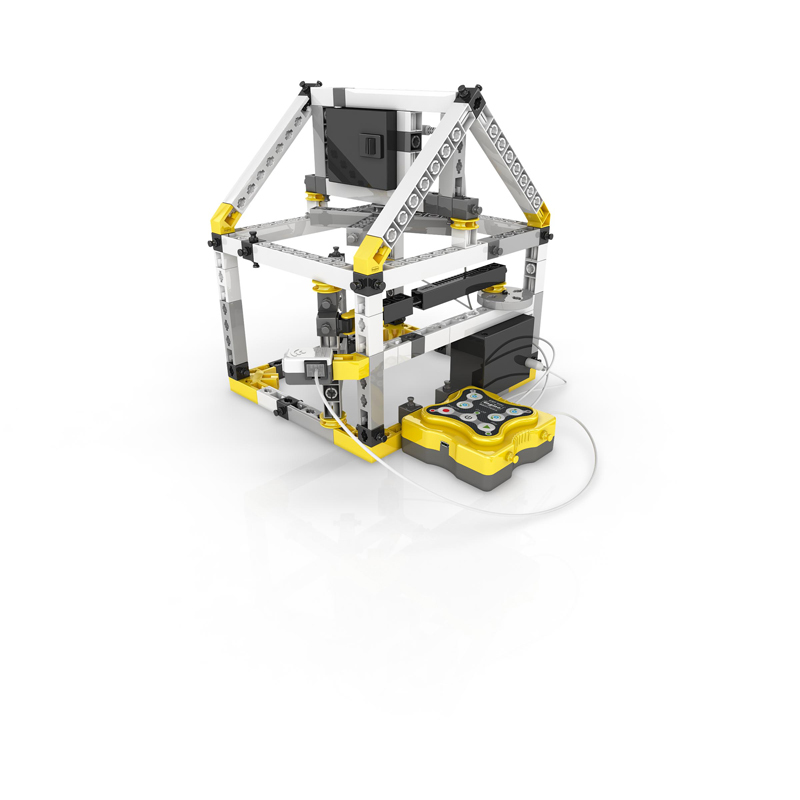 Your robot can be controlled through the ERP controller, which can be plugged into a USB port on your computer, or you can use the membrane buttons to program on the device itself. Connect your sensors and motors with four input-output ports. 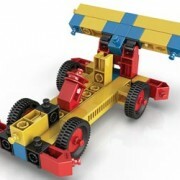 The ERP controller comes with a 32-bit ARM Cortex-MO+ micro controller, 256kb of flash memory and 64kb of RAM. 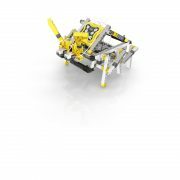 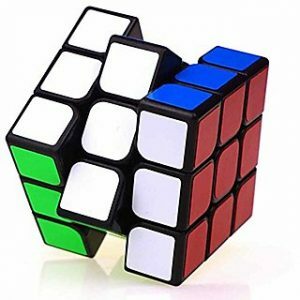 In addition to the physical pieces you’ll need to create your robot, this Robotic Mini ERP 1.2 kit comes with the ERP 1.2 software needed to program your robots from your computer. 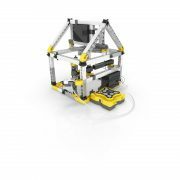 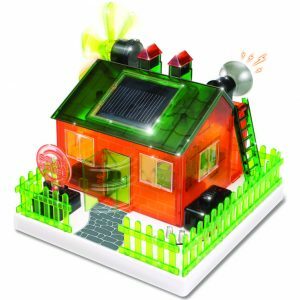 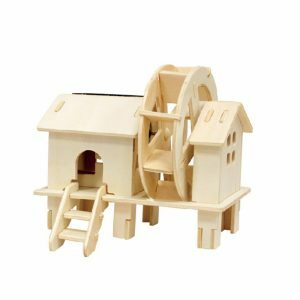 The ERP 1.2 software is easy to use, even for beginners, and introduces children to programming in a fun way with clear programming blocks.